The basic blackjack strategy is a must-have tool for every blackjack player. It has little to do with bets or the deck situation, it can be applied only to the current game. You should learn the basic strategy and always follow it strictly except for the case that you combine it with another strategy or system.In fact, the basic strategy is a table of probabilities (statistical analysis) that has been worked out by the mathematicians. It is often provided in the form of the card that shows when the player should hit, stand, split or double down. It is a proved strategy that reduces the overall house edge to one percent or even less. Our “Basic Blackjack Strategy” charts contain a version of the strategy for multiple deck blackjack. This strategy is very easy to use; all you have to do is to find your card combination in the left column and the dealer’s upcard at the top. At the sell where these two combinations intersect there’s a tip, it tells you what move you should take. The majority of all starting hands dealt by the dealer are Hard Hands, that is why it is essential to play them correctly. Hard Hand is a hand that doesn’t contain an Ace. What you should keep in mind is that if you have a hand total of 8 or less, you should always hit since hitting them is never a bust. With counts of 9, 10 and 11 doubling gets more important and frequent. A hand total of 11 is the most doubled hand of all and it results quite profitable. With the hand that totals 12 or higher, you should rather stand if the Dealer has weaker upcard (since you can easily go bust). 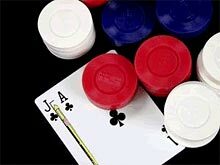 For the totals of 15 and 16 against the Dealer’s Ace or Ten count upcards Surrender is a recommended option. If you cannot Surrender these hands due to the restrictions in rules (or you've already Hit the hand) you should Hit them instead. The totals of 17 or higher are always Standing hands, irrespective of the dealer upcard. Soft Hands are those which have a single Ace in them, they are called soft because they will never bust when you take just one card to them. After a Hit Soft hands may actually become a Hard Hand, and they may also stay soft (able to use the Ace as an 11) even with additional cards added to the hand. If the hand turned into Hard, you should switch back to the Hard Hand strategy. For example, you are dealt Ace and 7 versus a dealer 8 up, and based on the strategy chart you should hit the hand, receiving a 7 as your third card. Your previously soft hand count of 18 is now a hard count of 15 (1+7+7). Now Ace is counted as 1 because if it counts as 11, it will cause a bust. Now, a player must go back to the Hard Hand strategy and play the 15 since the hand is no longer soft. Paired Hands is the case when the Dealer deals to the player two cards of identical value like 99 or 44. Since Paint cards count as 10’s, hands that contain two ten value cards like King and Jack or Queen and King are also considered pairs. As a rule you are offered to Split the pairs into two separate hands. Almost all of these paired hands will be Split or Hit except a pair of 5’s. 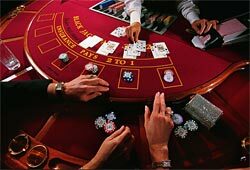 The only exception to the basic strategy for Pairs in Blackjack occurs when you have a pair of eights. According to the chart, they will be split against all upcards except for a dealer’s Ace. But when you face the strongest dealer upcard, mathematically best playis to Surrenderthe pair of eights. Against any of the other dealer upcards we'll favorably Split the eights and proceed as usual.